Technology is revolutionizing the casino gaming experience. Our DDSTUDIO design team is helping drive this new user experience by designing Electronic Gaming Machines powered by empathy. As we head to G2E 2017 in Las Vegas next week, we are excited about revealing a project we’ve been working on the past few months. We’ve been involved with a number of exciting G2E launches. In 2014, we helped design the IGT CrystalCore Video Slot Machine what won the Best Slot Product 2014 Gaming Technology Award. What we saw last year was the introduction of more skills based gaming designed to better engage the Millennial casino visitor. While Millennials are visiting Las Vegas, the numbers of them gambling is lower than previous generations. Only about 63% of the visitors visited the casino floor, preferring the pool, shopping, dining and clubs. Technology is providing new ways to make the gaming experience more attractive to this new generation. Casinos are using new technology like facial recognition and RFID chips for security as well as for building a more personalized experience. Casino gambling of the future has to be personalized, convenient, engaging, and immersive. At DDSTUDIO, our mission is to help create Electronic Gaming Machines (EGM) that deliver exceptional gaming experiences to players. Using our human-centered approach to linking the product to the overall experience, we’ve been rethinking the gaming experience, putting the guest at the center of the experience. We’ve been experimenting with different ways to fully immerse the visitor, through engaging and delighting all of the senses. 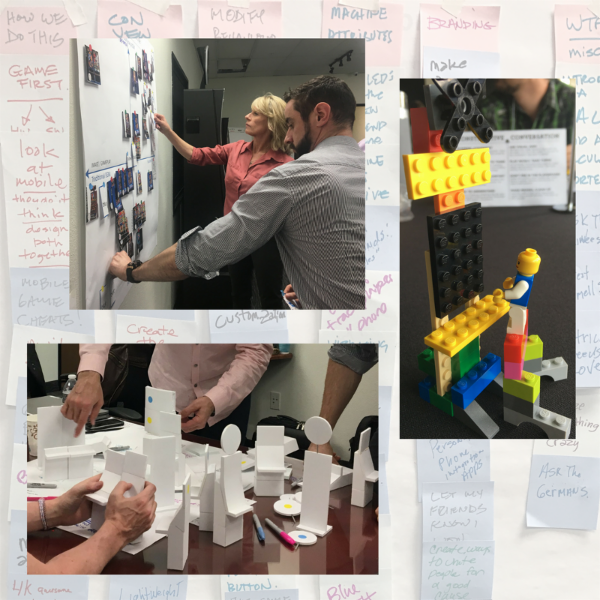 We built multiple models and prototypes of all sizes, applied our design thinking approach, and continued to refine… you’ll just have to wait until next week for the big reveal of our electronic gaming machines powered by empathy! It’s going to be the new generation of casino gaming. Come talk with us about your specific ‘point of entry’ for designing products and interfaces that speak to your customer experiences. You will find value in understanding the entire journey, as we guide you every step of the way from ‘category creation’ to ‘product launch’.